I began my dental career in 1973. This was a great time to be a dentist. The total start-up costs for my first practice in New Jersey were $25,000. Of course, everything is relative and I still had some lean years, but I always saw a promising future. I never doubted that I had chosen a great profession. As time went on I began to see the winds of change. 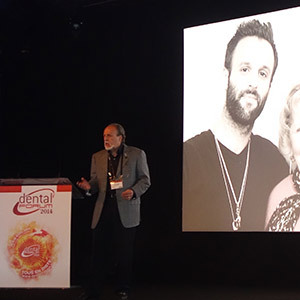 I was there for everything: bonding, insurance, closed panel dentistry, HMO’s, PPO’s, the beginning of advertising, cosmetic dentistry, implant dentistry, the Internet and social media. Through it all there were many changes and many things that stayed the same. The things that never changed were the “people issues.” Managing patients and staff never changed. I had my difficulties just like everyone else. I took courses and hired consultants because the “people stuff” was never covered in dental school. Developing these skills took time…but it was well worth it. Especially after the third parties began to overpower many private practices. The technical advances were a bit easier to handle. Dental school did prepare me well (University of Pennsylvania School of Dental Medicine). Sure, I had to keep up and I did. I found the technical philosophies taught at The Pankey Institute and The Dawson Academy served me well. There are so many technical courses that there is no excuse for any dentist to fall behind. Yet…even some very good dentists fail because they lack the people skills. I had a great career in dentistry. 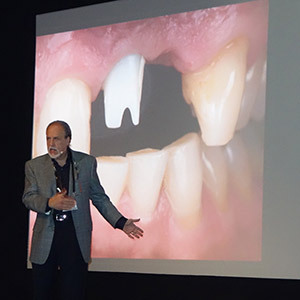 My frustrations and stress levels were held to a minimum because I threw myself into the whole complex nature of dentistry - the technical, the behavioral, the business, sales and marketing, motivation. I realized early on that dentistry was way more than just about teeth. I wrote three books: The Art of the Examination, The Art of Case Presentation and A Short Guide to a Long Career. All of those books were geared toward dentists who were having issues bringing their best dentistry to their patients…for a fair fee. I believe that young dentists today have the same problems we had 40 years ago…but much worse. The obstacles are much higher. Their student loans are almost insurmountable, dentists are stuck because of their sunk costs, insurance and corporate dentistry is becoming an unstoppable, overpowering force, the economy is not helping as the “social problem” of the shrinking middle class continues to grow. I feel for the younger dentists…and I want to help. I am writing a new book. The topic is leadership and communication. I have been researching these topics for many years. I am still growing…still learning. I know that leadership is a buzzword—-and that it turns many people off. 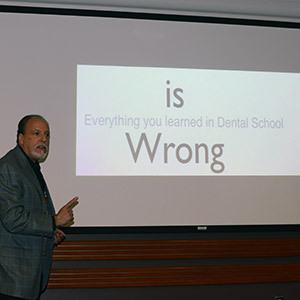 It is way too overused these days…BUT I didn’t know what else to call all of the skills, knowledge and —-yes the wisdom necessary for dentists to succeed in today’s daunting dental world. That is why I created The Academy of Dental Leadership. But we need a bigger role. We need to become Dental Leaders. That is why I created the Academy of Dental Leadership (ADL). By writing books and articles. By developing webinars and online forums. One thing is clear to me…technical dentistry takes precedence over every other component of dentistry. ADL is being created to fill in what the others have left out. It is not simply practice management (although it has some of that), it is more than sales and marketing and self-management (yes, it has that too). ADL will have whatever it takes to create DENTAL LEADERS. Not only at a personal level but at a community level. Get the control back in your life…become an ADL Member today!